Wonderful high elevation views from the peaks. Tom Harrison Maps makes the newest version of this Central Sierrra wilderness map. Kaiser Wilderness has glacier boulders, huge granite – Kaiser Peak, 4×4 routes and big cell phone towers, plus a lotta great views all the way around. Elevations range from 7000′ to 10,320′ above sea level. Kaiser Pass is a narrow paved road, located in between Huntington Lake and Edison Lake; Only open in the summer months and closed for winter. No long trailers or RVs allowed on this route. Minimal pulls outs, maximum scenery. 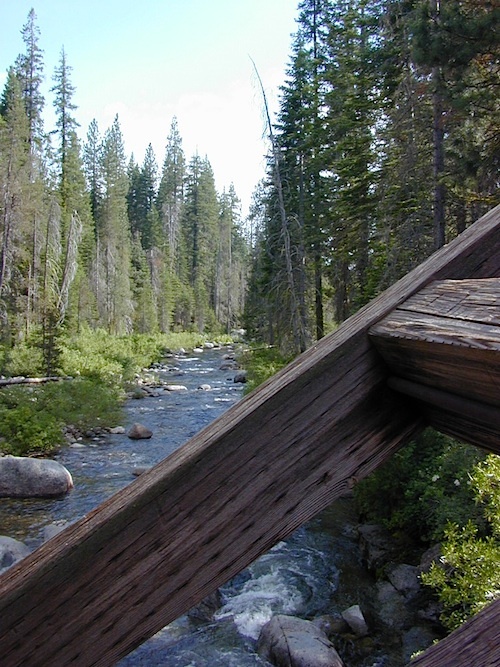 Headwaters to the San Joaquin River start way back here in the mid-Sierra mountains. 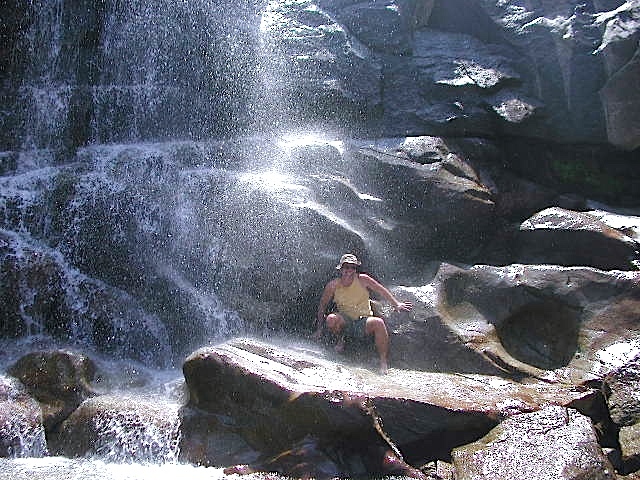 Decent fishing, awesome camping, rock climbing, hot springs and plenty of hidden spaces. Hiking and mountain biking in this region is abundant, as well as in winter, with cross-country skiing and snowmo trails. Huntington Lake marks the hard right (turn off) for KAISER, a steep one lane road, which climbs the mountain and take yoiu deep into the backcountry. Extreme heights, granite boulders and radical cliffs w/ no guard rails. 25 mph max kinda road, for dozens of miles. Not a quick or easy day trip kinda place. Plan for weeks or several days exploring out in this backcountry. One lane bridges, alpine lakes, trailheads and granite peaks. 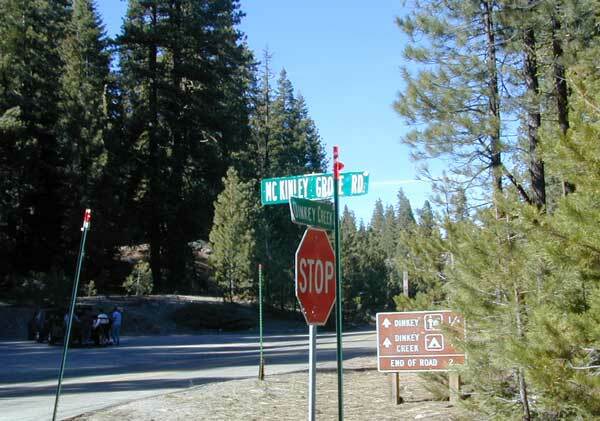 NO ROAD connects through to the Eastern Sierra side, so it’s all on foot after Edison or Florence. 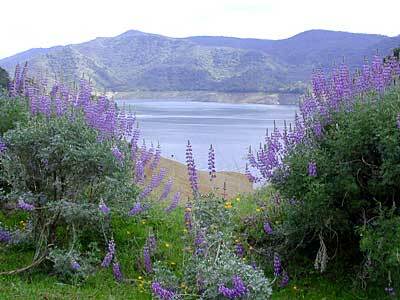 Two major California Reservoirs on the edge of High Sierra Wilderness. Snow is deep! 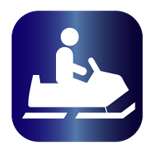 Snowmobiling is very popular on this route and in this deep snow region. China Peak (or Sierra Summit) is the local ski resort. 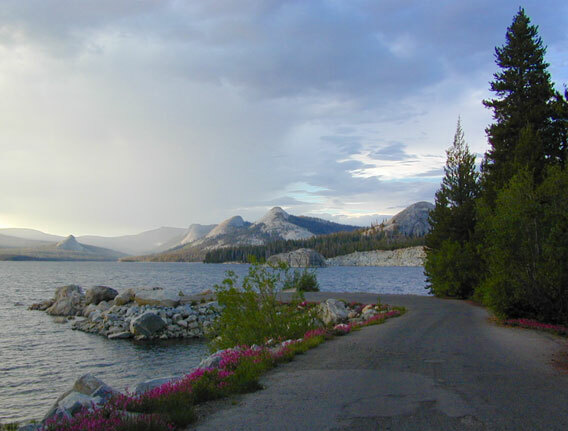 Cabins, condos and campgrounds are all available at Huntington Lake. 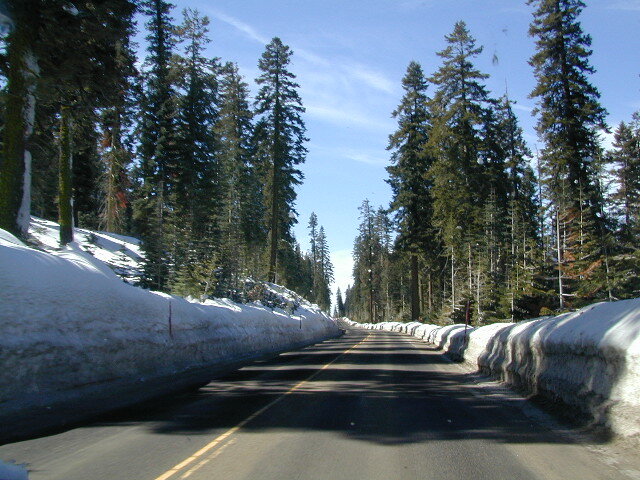 The Kaiser Road is one of the highest paved mountain roads in all California. Great views to the Eastern Sierra and all the way around. Numerous primitive camps and trailheads, adjacent to the Wilderness Area. 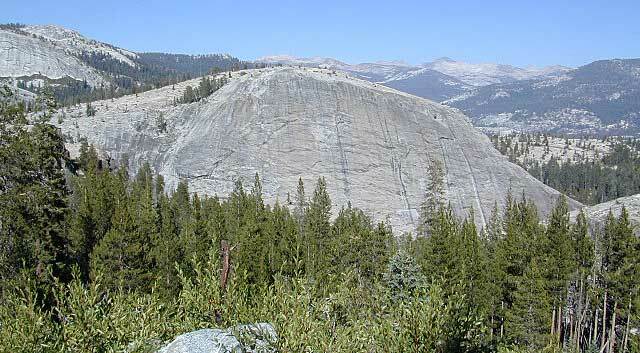 Kaiser Pass has the DUSY ERSHIM 4×4 Trail, second only to the RUBICON TRAIL in popularity. Some dirt roads may require high clearance, or perhaps 4-wheel drive. Signage gets knocked down, mud can turn to powder fine dust in summer, lots of erosion, landslides, rock slides. Have a good topographical map and know your vehicles limitations. Kaiser Wilderness Trail Map, Part of Sierra National Forest has destinations like Huntington Lake, Lakeshore, Sierra Summit (now China Peak Ski Resort), Edison Lake, Florence Lake, Kaiser Pass. 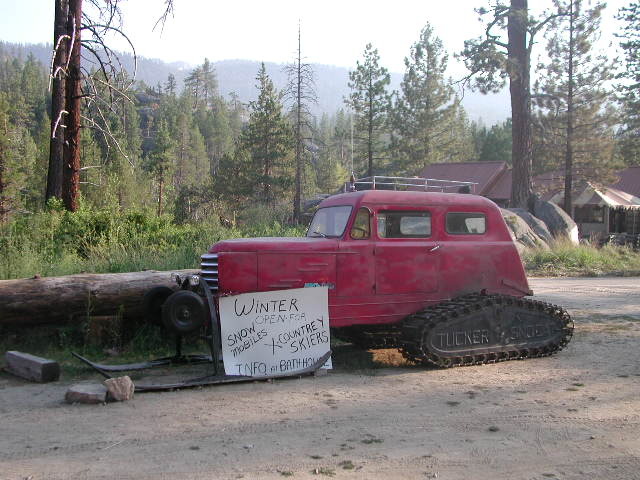 Rancheria Falls, Kaiser Wilderness, Mono Hot Springs, XC skiing, Snowmobile Trails. Perfect for a day hike reference or extended backpacking adventures. USDA NFS Map Scale = 2″ to mile; Printed on paper in 1991. Mono Hot Springs, open all year long. National Geographic Maps makes a much larger, full color map that covers the whole region, from Shaver Lake @ Highway 168, way out to Dinkey Lakes Wilderness. The map scale is much wider, so it is not considered a trail map, like the Tom Harrison Topo and the USDA maps listed above. Waterproof map of the Sierra Nevada. Quality USDA maps created for the National Forest Service. Yosemite West, Kaiser Pass, Kaiser Wilderness, Huntington Lake & Shaver Lake, Dinkey Creek, Wishon Reservoir & Courtright Reservoir. 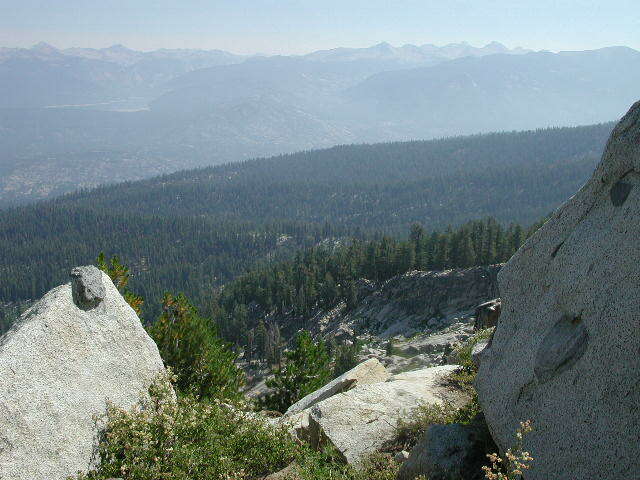 Western Sierra Nevada Wilderness. Ranger Map – NFS issued map. GPS: Longitude & Latitude; Rivers, Creeks, Peaks, Elevations, 4WD & every dirt BackRoad, Hot Springs, Equestrian Areas, all Campgrounds, Hiking Trails & BackPacking Trailheads. 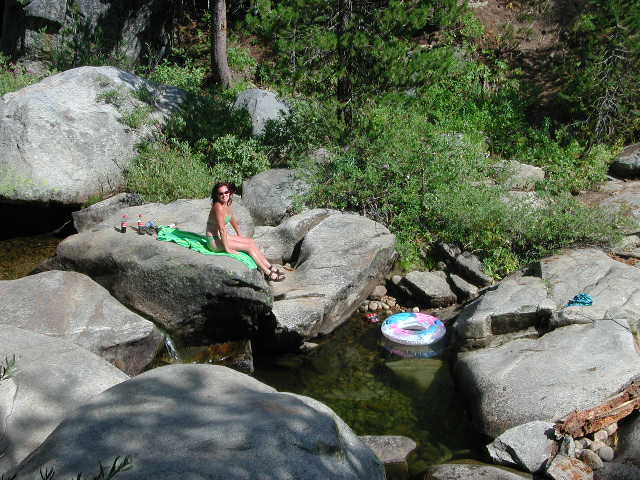 Areas include: Western Sierra, Sierra Summit, Mariposa, Wawona, Oakhurst, Merced River, Bass Lake, Huntington Lake, Shaver Lake, Kaiser Pass, Dinkey Creek, South Yosemite, Mono Hot Springs, San Joaquin River, Mammoth Pool Reservoir, Lake Edison, Florence, Wishon, Courtright, John Muir Trail/Wilderness, Ansel Adams Wilderness, Mammoth, Sierra Lakes, North Kings Canyon National Park, Pine Flat Reservoir, Black Rock Reservoir, Kings River, Monarch Wilderness.